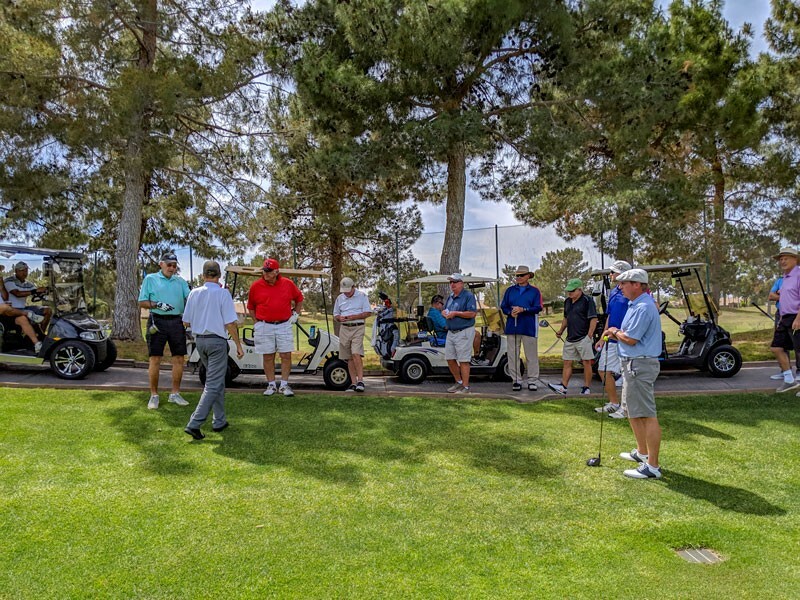 We had great weather and play for the Men's Member Guest hosted by the Weekend Men's Club! Day 2's matches ended up moving a few teams forward and getting them into the Championship Shootout! 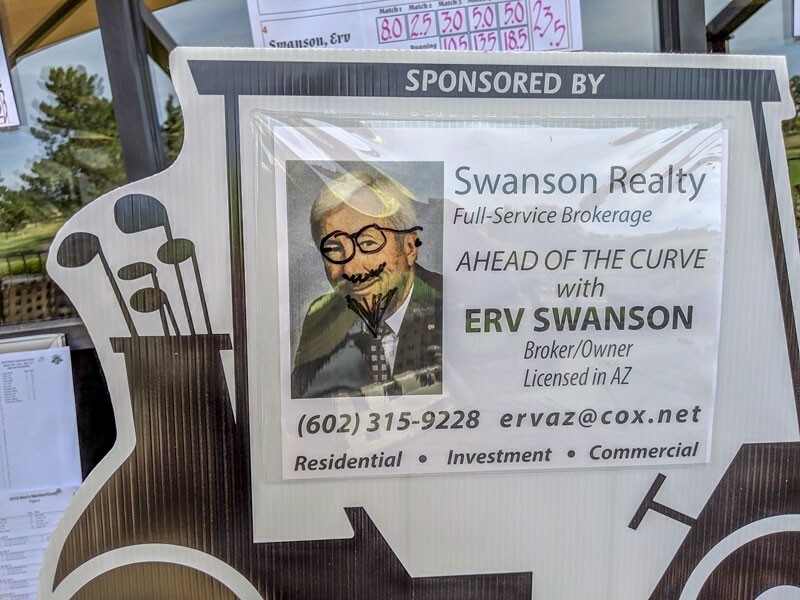 The shootout was played on holes 10, 11 & 14 with two teams being eliminated on each of the frist two holes, leaving two teams playing Hole 14 for the Championship. 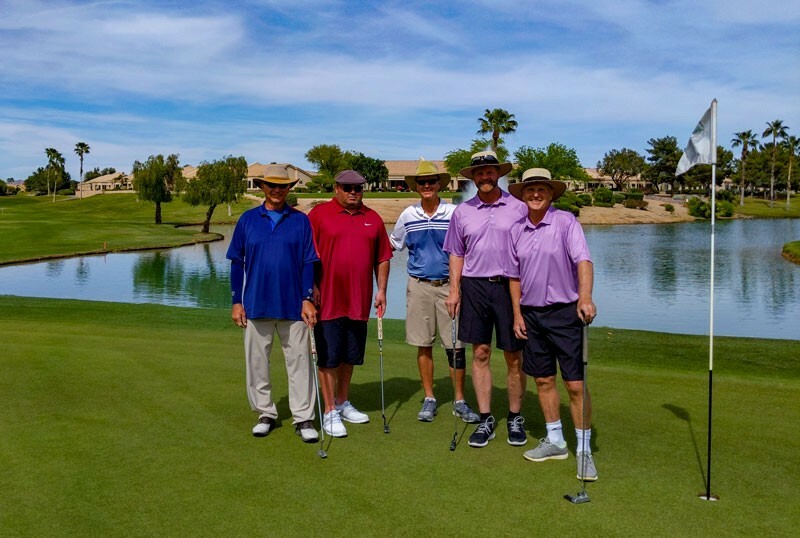 On the first hole of the Alternate Shot Shootout we had Dave and Joe Casmus (Team Casmus) with a 3*, Rob Hill & David Morgan (Team Hill) with a 4, Tim Miller and Justin Ohlinger (Team Miller) with a 4 and Murray Issadore and Jim Boysius (Team Issadore) with a 4 . All teams with 4 or better made it through to the next hole. On Hole 11, we had great shots from the tee with Team Casmus making a 2 and Team's Hill and Miller both making 3's, forcing a 100 yd closest to the pin playoff. In the playoff Tim Miller hit a great shot finishing 23' 11", but Rob Hill hit it just closer at 19'11". With two teams remaining for the final hole, #14, things became interesting when Team Hill hit their drive far to the right, ending up just in front of number 10 green and Team Casumus striping the fairway inbetween the bunkers. Team Hill hit a great recovery shot to the middle of the fairway about 135 yds from the pin and Team Casmus answered, hitting their second shot in the middle just outside 100 yards. Team hill was forced with a tricky pin and a bit of a cross wind, but David Morgan of Team Hill made it look easy hitting the shot to 12ft just past the pin. With the pressure on Joe Casmus hit a solid shot just outside Team hill at 15ft. David Casmus was put in a great position by his guest and drained the 15 ft putt for birdie applying pressure to Rob Hill who now had to make his 12 ft putt to send it to a playoff. Putting side saddle, Rob hit a great looking putt that could have very easly gone in, but just burned the edge! 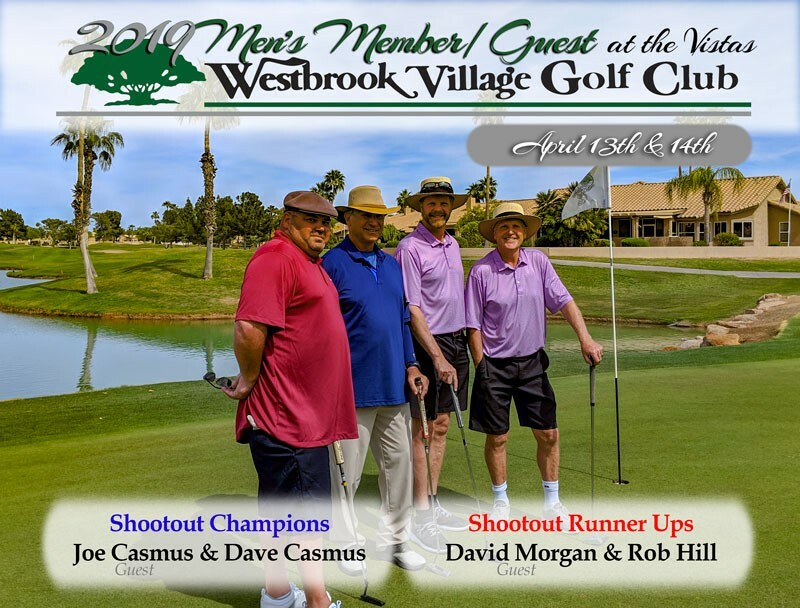 Team Casmus is this year's Men's Member/Guest Champions! 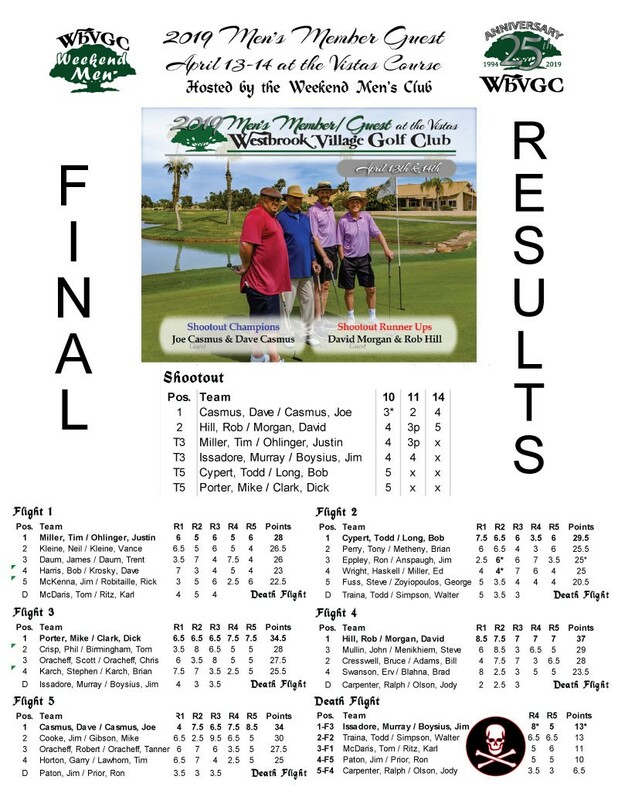 Congratulations to Team Casmus and their Great Play coming from behind in their flight to get into the shootout and making birdie on all three shootout holes to WIN!